These are famous ancestors, who have done great things for the world. Gabriel (1776 – October 10, 1800), today commonly – if incorrectly – known as Gabriel Prosser, was a literate enslaved blacksmith who planned a large slave rebellion in the Richmond area in the summer of 1800. Information regarding the revolt was leaked prior to its execution, and he and twenty-five followers were taken captive and hanged in punishment. In reaction, Virginia and other state legislatures passed restrictions on free blacks, as well as prohibiting the education, assembly, and hiring out of slaves, to restrict their chances to learn and to plan similar rebellions. 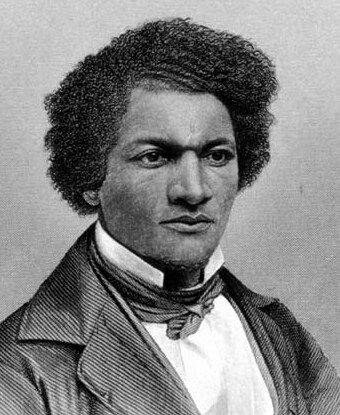 Denmark Vesey, (1767 – July 2, 1822) originally Telemaque, was an African-American man who was most famous for planning a slave rebellion in the United States in 1822. He was enslaved in South Carolina. After purchasing his freedom, he is believed to have planned a slave rebellion. Word of the plans was leaked, and authorities arrested the plot's leaders at Charleston, South Carolina, before the uprising could begin. Vesey and others were convicted and executed. Sometime between 1775–1783, during the Revolutionary War, a free black man, Tom Graves, joined George Washington’s army. Graves’ 12 year old son, Jocko, wanted to go to war too, but of course he was too young. Determined to go, Tom's son went anyway. As Washington was preparing to cross the Delaware River for the battle of Trenton, he realized that he could not transport the horses by boat, and his steeds would have to wait on the other side. Jocko volunteered to hold the horses and vowed to never let go of the reins making sure that they were ready when Washington’s troops arrived. As a result, during the night, Jocko froze to death. It is said that Jocko's sacrifice spurred the troops onto victory. Washington was so touched by the boy’s sacrifice, he erected a statue in Jocko’s honor at Mount Vernon. This statue, the story goes, was the precursor to the lawn jockey. The significance of the story reminds us that the lawn jockeys are not racist reminders of the days of slavery, but monuments to an African American hero. Turner was convicted, sentenced to death, and hanged. In the aftermath, the state executed 56 blacks accused of being part of Turner's slave rebellion. Two hundred blacks were also killed after being beaten by white militias and mobs reacting with violence. Across Virginia and other southern states, state legislators passed new laws prohibiting education of slaves and free blacks, restricting rights of assembly and other civil rights for free blacks, and requiring white ministers to be present at black worship services. Harriet Ann Jacobs (February 11, 1813 – March 7, 1897) was an African-American writer who escaped from slavery and became an abolitionist speaker and reformer. Jacobs' single work, Incidents in the Life of a Slave Girl, published in 1861 under the pseudonymLinda Brent, was one of the first autobiographical narratives about the struggle for freedom by female slaves and an account of the sexual harassment and abuse they endured. These are the great people who have made their transition from our personal families.